Good news! You read it correctly. 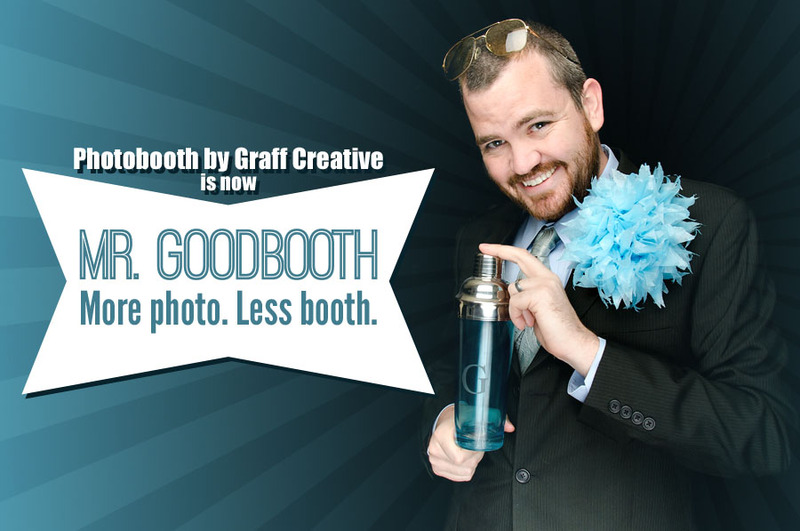 The best photo booth in the Carolinas, formerly Photobooth by Graff Creative, is now Mr. Goodbooth! Don’t worry though, it’s still owned and operated by Graff Creative and will still be producing the same high quality professional photos and good times. We thought it was time to give the photo booth a deserving name of its own instead of the long/drawn-out former version. We also thought it was time to get back to our roots and drop the printing add-on so we could focus (pun intended) on making the absolute best photo booth photos around. Here’s some more information about that decision. We’ll also be adding some new options soon, so be on the lookout. We’ve started a new Facebook page for Mr. Goodbooth here too, so be sure to like it. We’ll be back soon with more great photos!